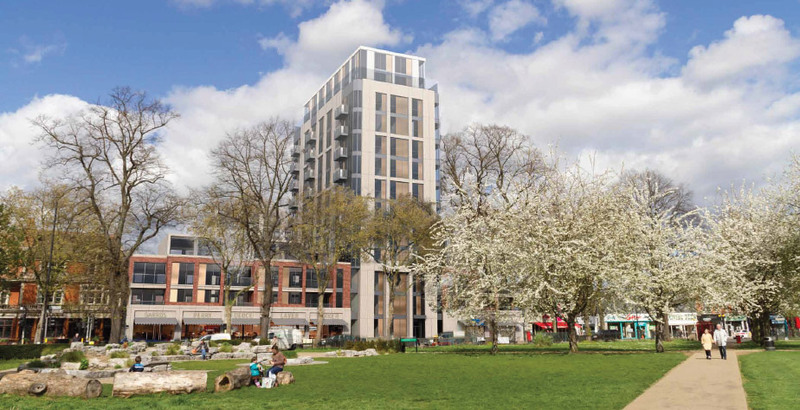 Do you know about the proposed new 13 storey tower block development overlooking Turnham Green? 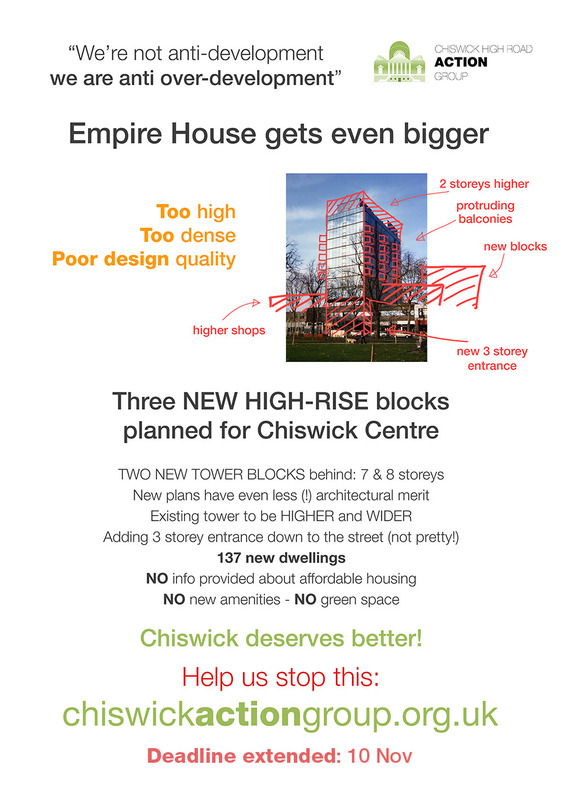 CHRAG is currently working on its formal response to the Empire House / Essex Place development, which includes 137 new dwellings in the centre of Chiswick, which it believes is overly intensive and lacking in adequate amenity space and facilities. In the meantime, if you feel the same way as CHRAG (i.e. not impressed!) then you can do two things. If you want to do even more, CHRAG would love your help. See below for more information. 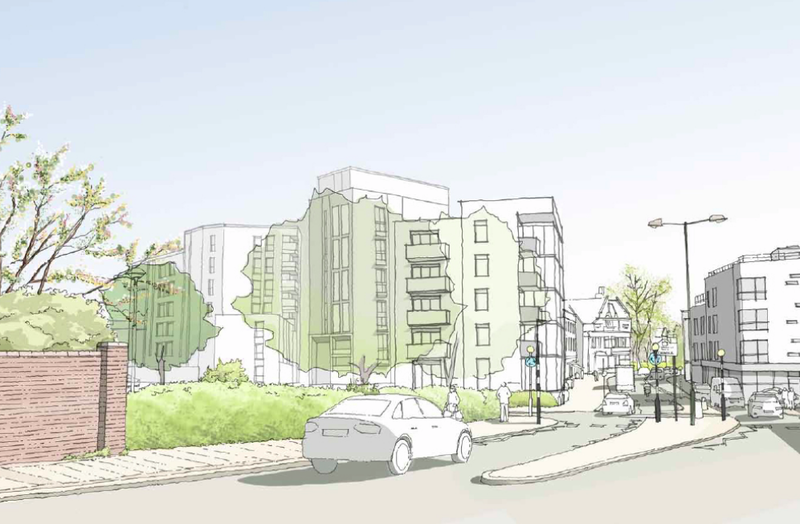 To view the planning application submitted to Hounslow, click here, accept the Hounslow T&Cs then search for application with planning number 00248/408-430/P1.